If there are actresses to exemplify perseverance and persistence even in the face of challenges, Sally Field will be among those to be named. She is a screenwriter, producer, director, and a vigorous actress who tenaciously advocates for women’s and gay rights. Sally is no doubt one of the legends tied to the past for starting out her acting career as far back as 1960. Despite her long stay in the Hollywood, her career still flourishes till date. More admirable is the many awards (including Academy Awards) and films to her credit such as Flying Nuns and Norma Rae. Here’s how she was able to reach her current height. Sally is the daughter of Margaret Field and Richard Dryden Field. She was born on November 6, 1946, in Califonia. Sally didn’t have a very happy childhood. Her parents always fought which later ended in a divorce in 1950. Much is not known about Richard who served in the army but Margaret got married again to stuntman Jock Mahoney. When it was time to begin her schooling, Margaret enrolled her daughter in different schools including Portola Middle School and Birmingham High School. Her interest in acting came in the 60’s and that made her seek knowledge at a workshop at Columbia Studio. Sally Field landed her first role on the TV sitcom Gidget, appearing from 1965 to 1966. Following that, the 18-year-old petite and high-spirited star also appeared in The Flying Nun from 1967 to 1970. She continued appearing on TV throughout early 1970 although she took a little break after the birth of her first child in 1972. By 1977, she made her film debut with a role in Smokey and the Bandit. Two years later, her role in Norma Rae earned her an Academy Award for Best Actress. By 1981, Sally had already found fame and was consistently auditioning for roles. It wasn’t long before she got her second Academy Award for Best Actress; this was for her performance in Places in the Heart. Prior to the award, she received Golden Globe Award nominations for performing memorably in Kiss Me Goodbye and Absence of Malice. More of her works in the 80’s continued to put her in the limelight. Lady Field was also acclaimed for her performance in Brothers & Sisters and her portrayal of Nora Walker earned her an Emmy Award in 2007. Additionally, the actress won many hearts in 2012 when she returned to the big screen and had a supporting role in the smash hit The Amazing Spider-Man. She received a star on the Hollywood Walk of Fame after reprising the role in the film 2014. While her career continues to thrive, the motivational star has also used her fame and personality to start a Bone Health Campaign which has been encouraging people to go for bone density scan for early detection of Osteoporosis. The campaign started after she was diagnosed with the disorder. Sally also advocates for women and gay’s rights. On that account, she received the Human Rights Campaign’s Ally for Equality award in 2010. For her decades-long career as an actress, singer, producer, screenwriter, and director, Sally is no doubt one of the most successful women in Hollywood. She has a net worth estimated at $55 million which is quite a big achievement for a woman who has worked hard nearly throughout her lifetime. 1. Sally is 5 feet 2 inches and weighs 132 lb (59.9 kg). 2. She has on several occasions fallen victim of celebrity death hoax. But the fact remains that she is alive and healthy. 3. 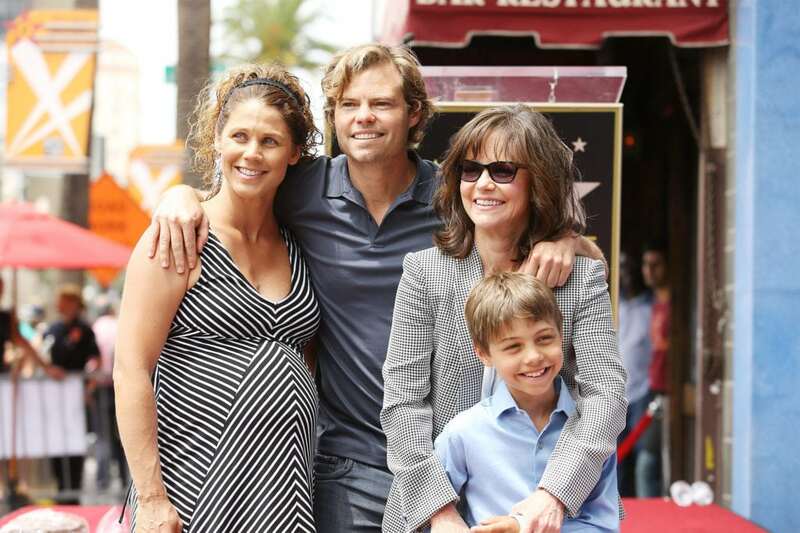 Sally Field is purely a woman of influence so it takes a man who can stand her achievement to keep her. The actress has been married twice. Her first husband was Steven Craig and they had two sons Peter Craig a novelist born in 1969, a year after his parent’s wedding and Eli Craig – an actor and director born in 1972. Their marriage lasted for 7 years. 4. She later started a romantic affair with Alan Greisman and the two became married in 1984. They had one son born in 1987 named Same but they split in 1993. Now, she is single and happy. 5. Sally is known as one of the stars who fell in love on screen. In the late 1970s, she dated Burt Reynolds who connected to her during the filming of Smokey and the Bandit I & II. The duo also appeared in the film The End and Hooper. 6. Her Zodiac sign is Scorpio and she is among those who descended from William Bradford, the Mayflower passenger, and former colonial governor.